I left this out this morning because it seemed too early in the season. But what the heck, the numbers are there. 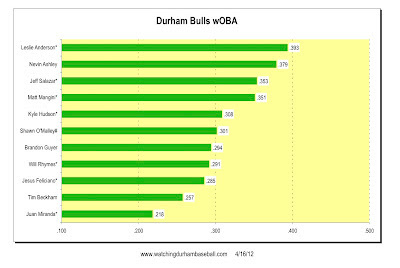 Weighted On Base Average (wOBA) is one of those nifty sabermetrics stats that have been around for several years now. 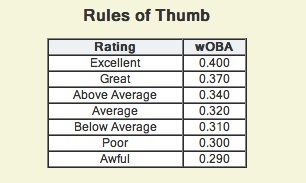 What’s important about wOBA is that it puts into one number for just about everything a batter does. Here’s a good description of the formula I used and a good background article from some years ago. Just what do those numbers mean? Well, I’m afraid that the news isn’t good. 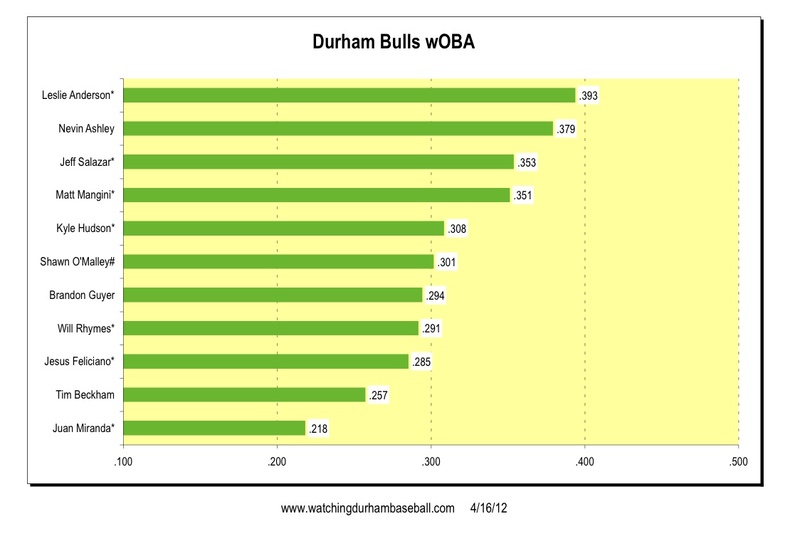 This table from Fangraphs is one way to look at them. Going by the table the only even average hitters we’ve got this year, so far, are Leslie Anderson and Nevin Ashley. That surely will change and this is a very early look.